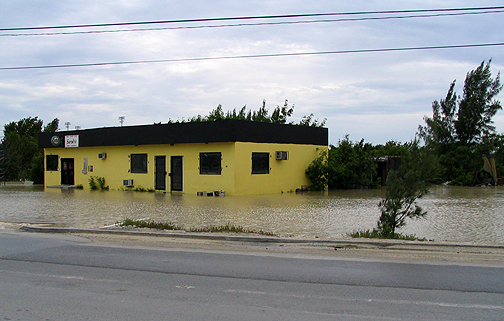 Providenciales was caught by surprise when Hurricane Wilma appeared with a spectacular display of lightning and thunder and seven inches of rain overnight on Tuesday 18th. 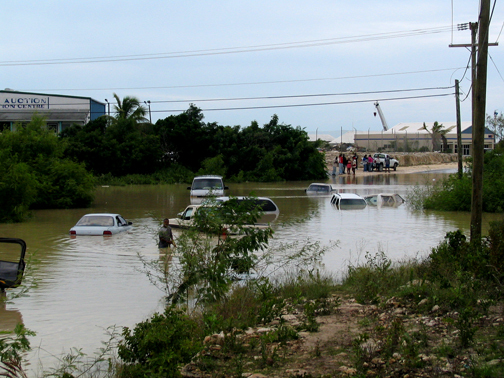 Roads were flooded across the island, some buildings in low-lying areas were flooded, a few cars submerged, and one person was reportedly stranded in his house without power or water and rescued by the fire department. Power, TV and telephone outages occurred but these were restored in a few days. A tornado in Turtle Cove lifted a container, turned it around and dumped it back onto the carpark. 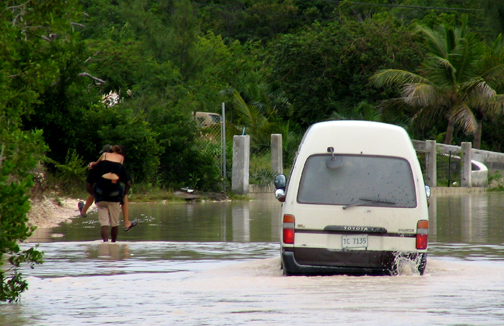 It could have been a great deal worse and may have served a good purpose as a wake-up call as our islands are seldom seriously affected. 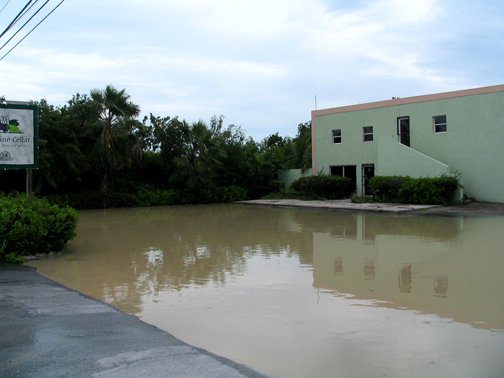 Thankfully Alpha brought only good rain for an hour or so to Providenciales. The sun is shining once again, the native vegetation sparkling and refreshed and the seas are calm. It's a beautiful day. The floods we had last week on Provo have now subsided and the passage of Alpha to the west of us last night gave us but a few showers... nothing like the thunderstorm last week. Thought you might like a few photos of the flooding last week... would have got them to you sooner but forgot where the site was. Will be quicker next time. Chivalry is not dead after all. (road at side of Walkin Marine) Note the bus exhaust blowing bubbles. 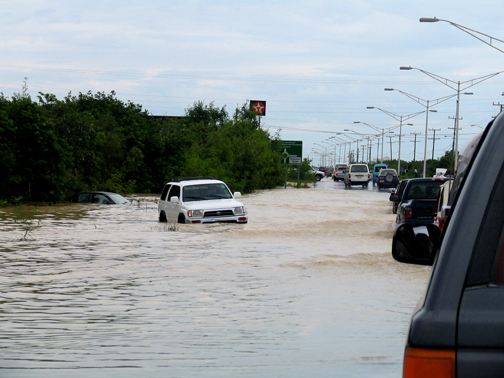 Provo Plaza (diversion through the Pizza Pizza car park due to stranded cars blocking the road heading West. Hi Gert, It's been a long time. Hope all is well with you. 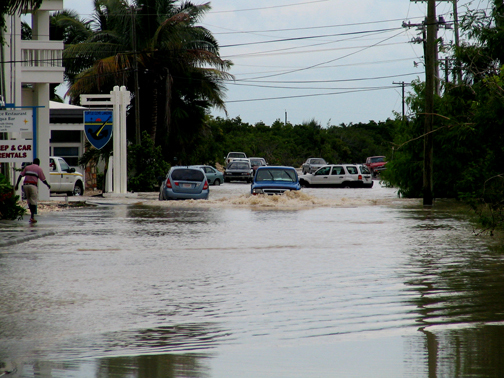 Our best wishes for those hit and about to be hit by hurricane Wilma. Haiti, I hope Hispaniola knocks Alpha out. doing great and the beach is lovely as ever. many of us. Please always know your tireless efforts are appreciated! Not certain if you have heard or can post. 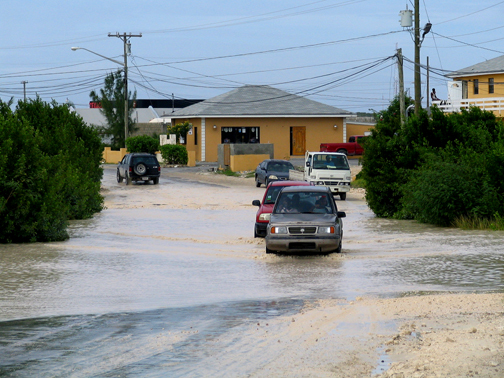 The Turks & Caicos Islands were subject to an intense thunderstorm last night and power is still off. Power went off at 7:00 pm and has not been restored to most of the Islands. 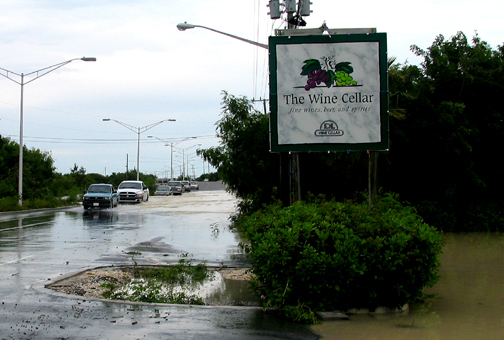 Many businesses are temporarily closed as the lack of power and flooding has disrupted the Island. I am told that there are no reported deaths and that power should be restored later today. Ok, well now we are in the throes of Rita. All day nothing but cloud cover and then by 9pm some lightning activity. By midnight the wind and rain picked up and it's going full force now. Thankfully for us it is early days for Rita. Good luck Bahamas, Cuba etc! Take care. 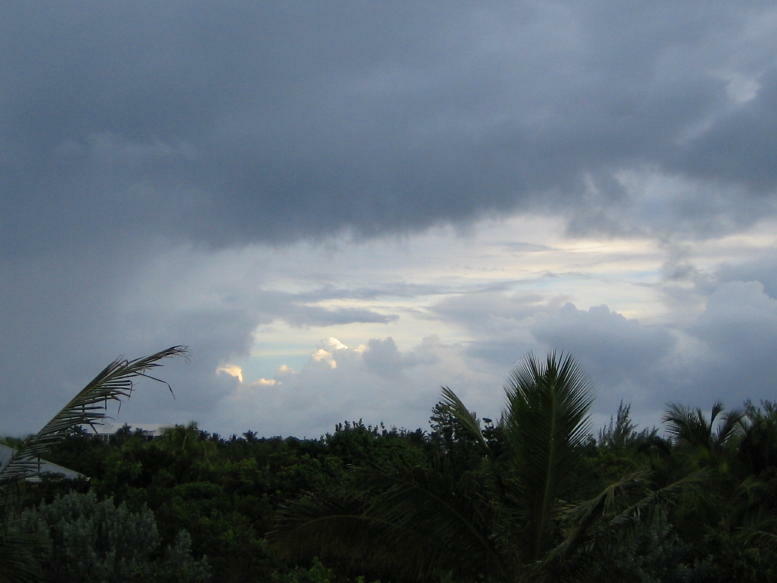 Well it looks like the bad weather is staying to the north of us here in Providenciales. Still very overcast but very little rain and no wind at all. Not yet anyway. Hopefully it stays that way. From weather.com - "Tropical Depression 18 formed at 11 p.m. on Saturday night. 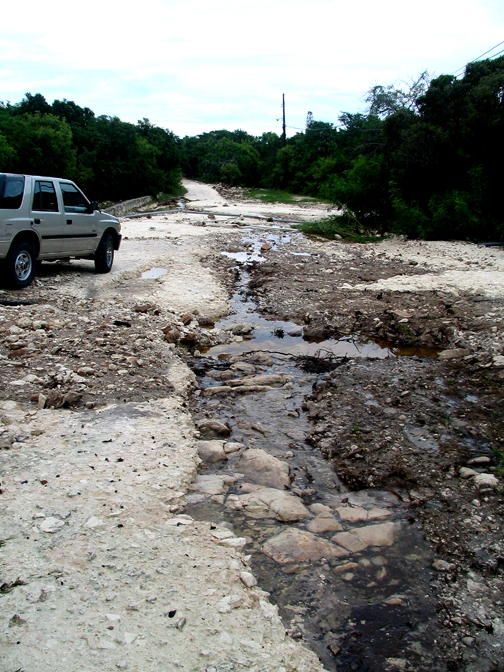 It has become more organized during the overnight hours and has seen an increase in shower and thunderstorm activity. T.D. 18 is forecast to become a tropial storm in the next 24 hours at which time it would be given the name Rita. The center of this system is located about 15 miles north-northwest of Grand Turk Island and is moving towards the west at 12 mph. Tropical storm warnings have been issued for the Turks and Caicos and the central and southeast Bahamas. Hurricane watches are now in effect for the northwest Bahamas." Just cloud cover so far. No wind, rain or thunderstorms as yet. A beautiful cool morning. - Singing in the Rain! Well I was singing in the rain last night at some karaoke...ooops. Nothing but glorious rain here. My water tank is actually overflowing right now...I could sell water. Anyway, it's great. The place has cooled down wonderfully thank the Lord. The island is soooo green it's beautiful. Especially when we have a reputation for being "dry and dusty"! 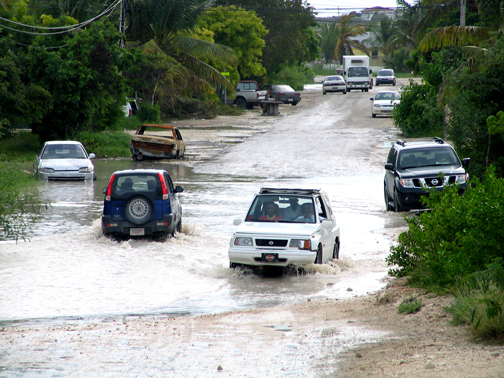 We LOVE rain in TCI. We had rain through the night and now we are are experiencing very dark skies and lots of rumbling thunder. Nice and cool too. I love it. I imagine it will clear up later though. On another note, we are keeping an eye on the 'sort of' Depression # 10. Watch this space. Hopefully she takes a turn and spins off into the Atlantic or something but will keep watching closely. Weather is beautiful right now and the island is busy with lots of visitors. Hope it stays like that! This is my first post of the season. 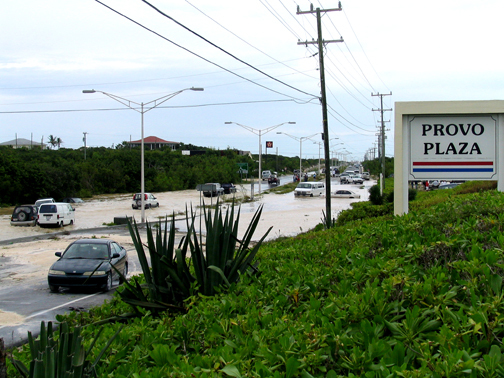 We have had a weekend of mixed weather here on Providenciales. A lot of rain on Sunday morning which cleared up to make for a beautiful (but hot!) Sunday afternoon. Today, Monday, it does not seem like it's going to ease up at all. 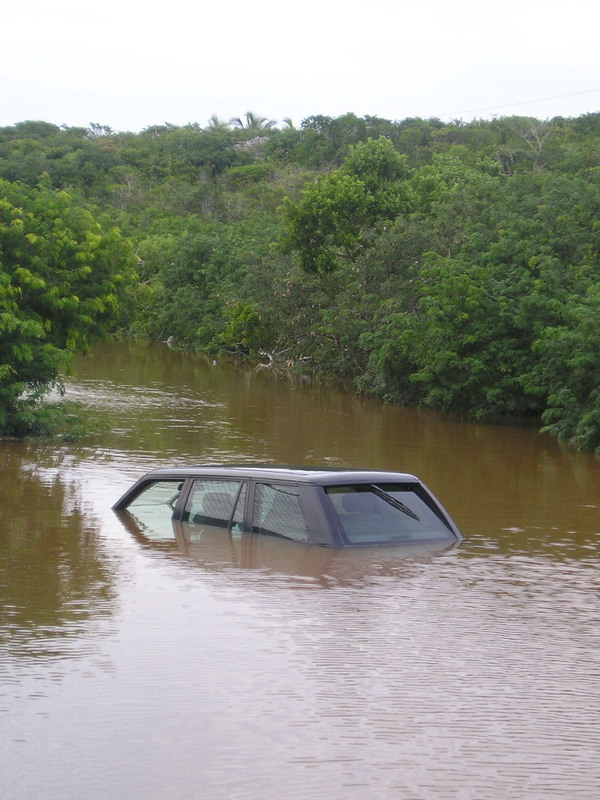 I am in the Leeward area of the island (north eastern end) and we have had non stop heavy rain since the am. In the last half hour we are getting a lot of thunder and lightning also. I see a disturbance south of Haiti is being monitored so will keep a close eye on that.